Many homeowners dream of creating a backyard oasis, but aren’t sure where to start. The transformation from simple backyard to outdoor living space doesn’t have to be expensive when you start with a freestanding pergola kit. A freestanding pergola creates a well-defined outdoor space that can be as dramatic or as simple as your needs and budget. Heartland Pergolas’ customized vinyl pergolas are low-maintenance structures that can be easily installed by you or by a contractor of your choosing. Your new backyard space can be used to shelter a patio, where you can share quality time with friends and loved ones, or craft a freestanding pergola to provide shade in an outdoor kitchen complete with stone fireplace. 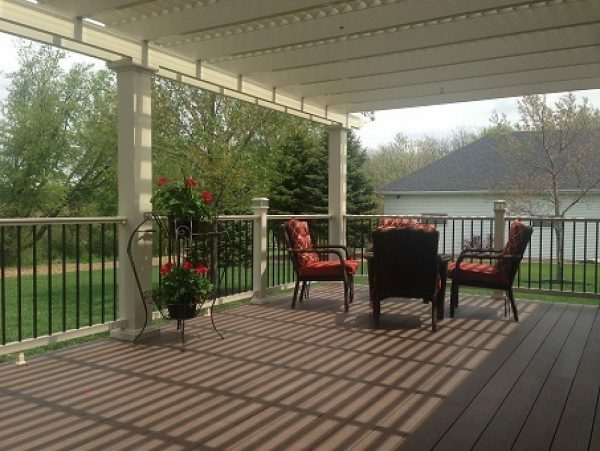 No matter how you choose to use your customized vinyl pergola, you’ll be adding beauty and function to your backyard.